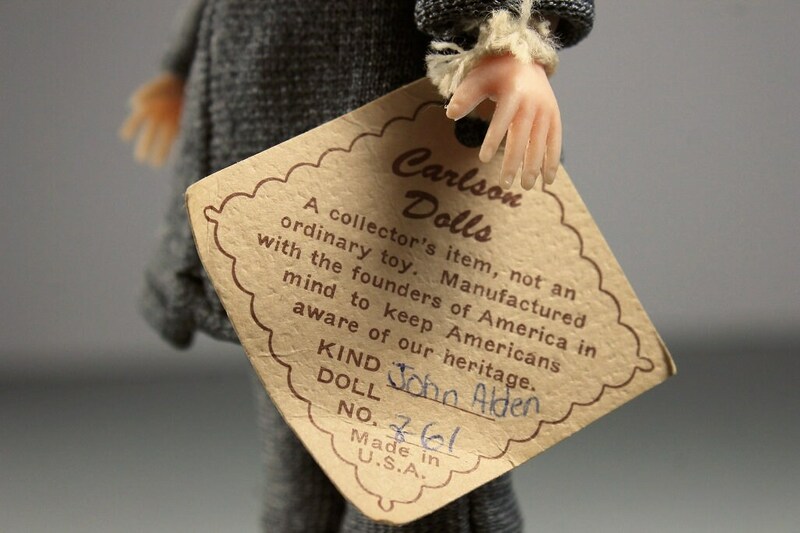 A wonderful collectible Carlson doll with its original tag. 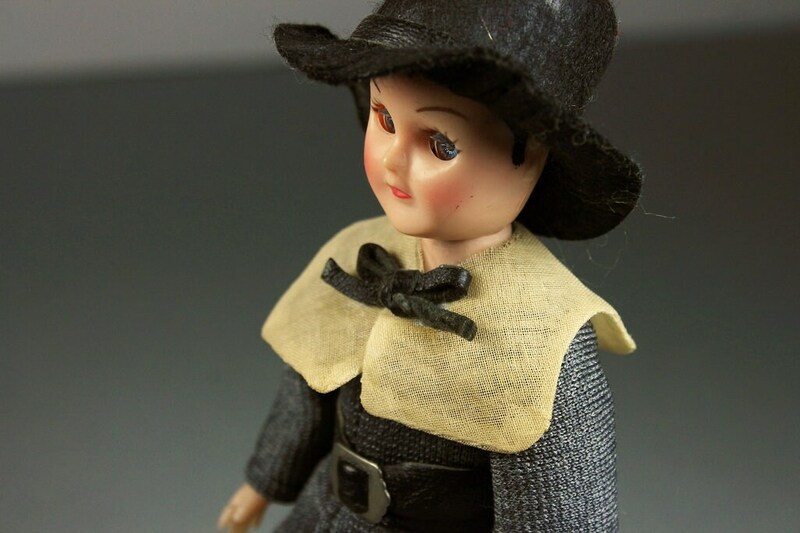 The doll is dressed as a Pilgrim and is called John Alden with the No. 8-61. 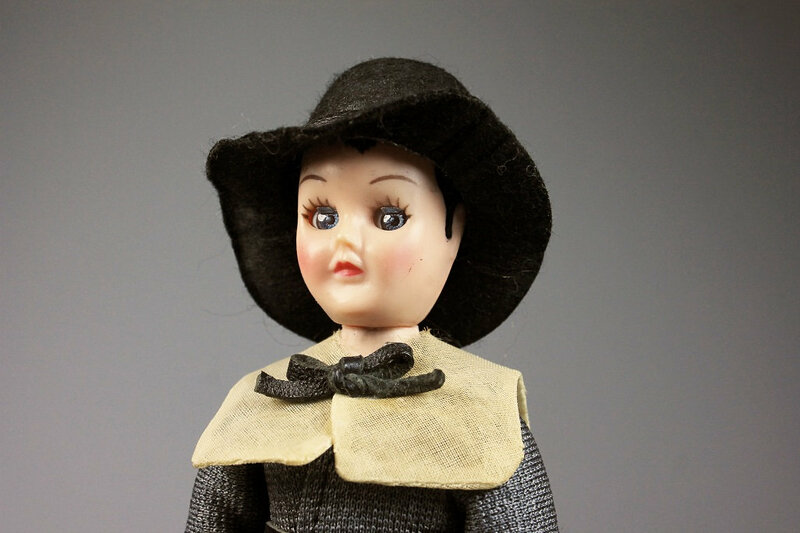 This doll has a beautifully painted face with eyes that open and close. He wears a gray suit with a white collar (discolored from age and dust), a black hat, and white boots. 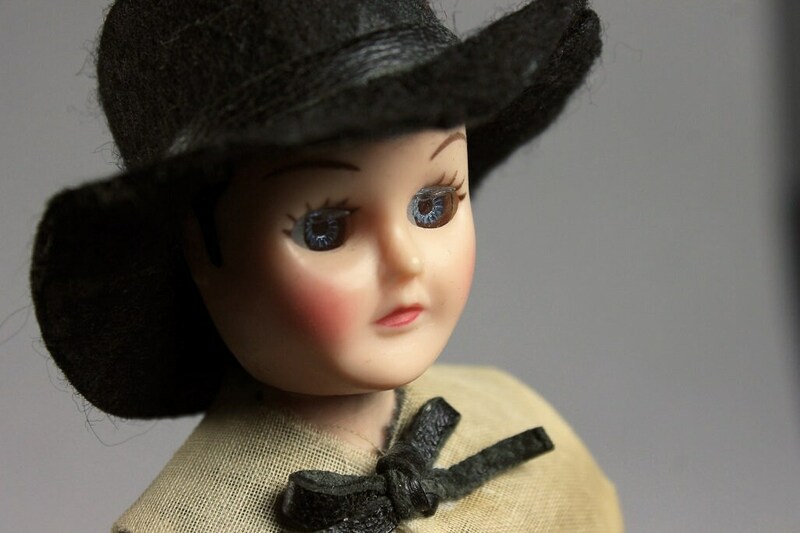 The doll has bright blue eyes that open and close. It's head, hands, body, and legs are plastic. 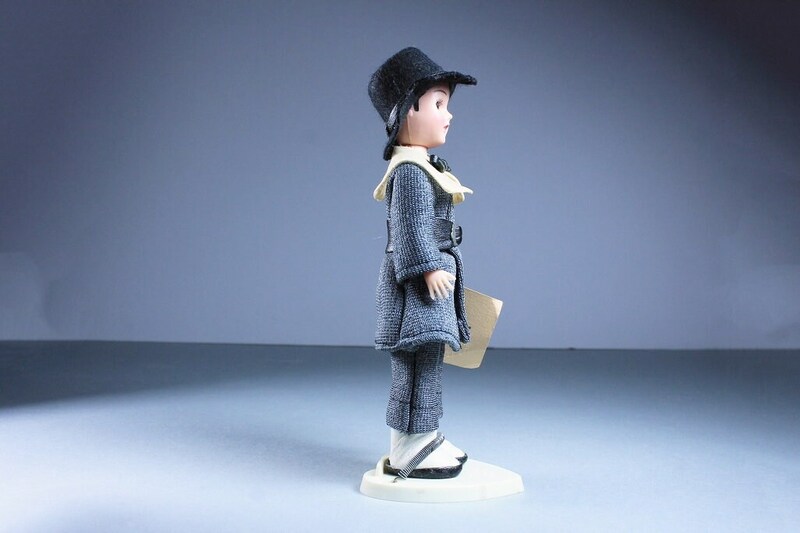 He stands on a heart shaped stand which attaches to his feet with a spring. 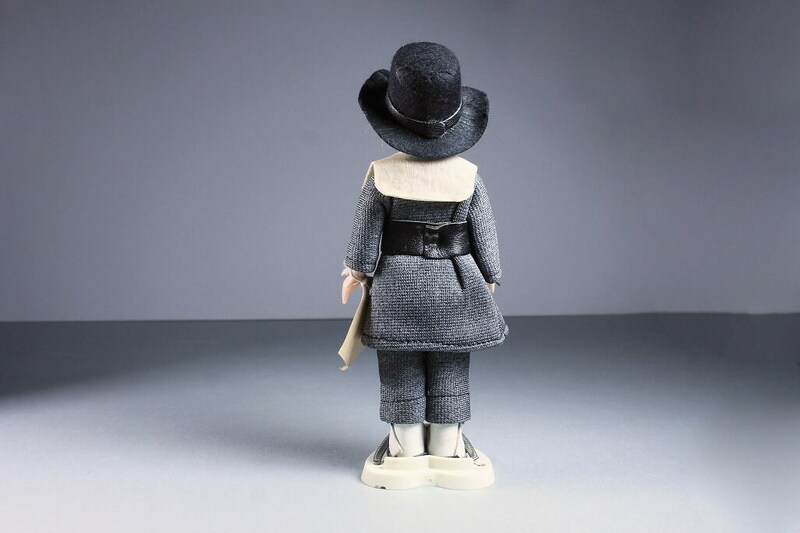 This would be great for any doll collection. 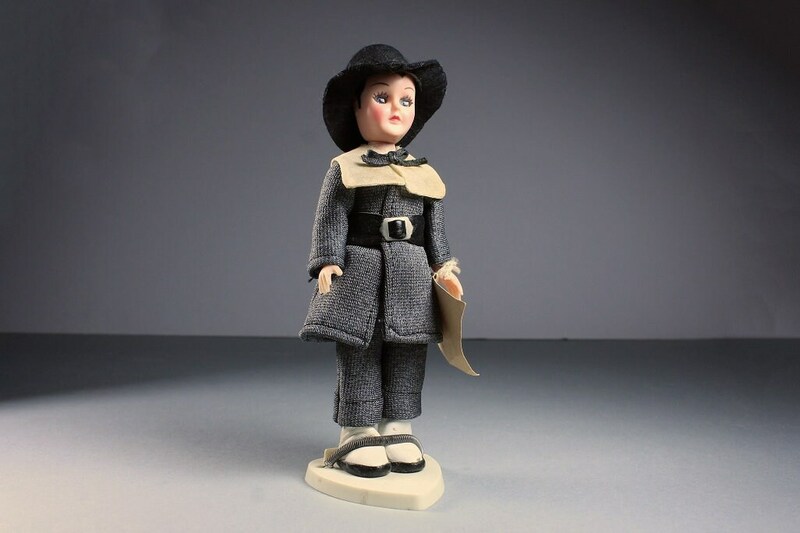 This doll is in good condition. 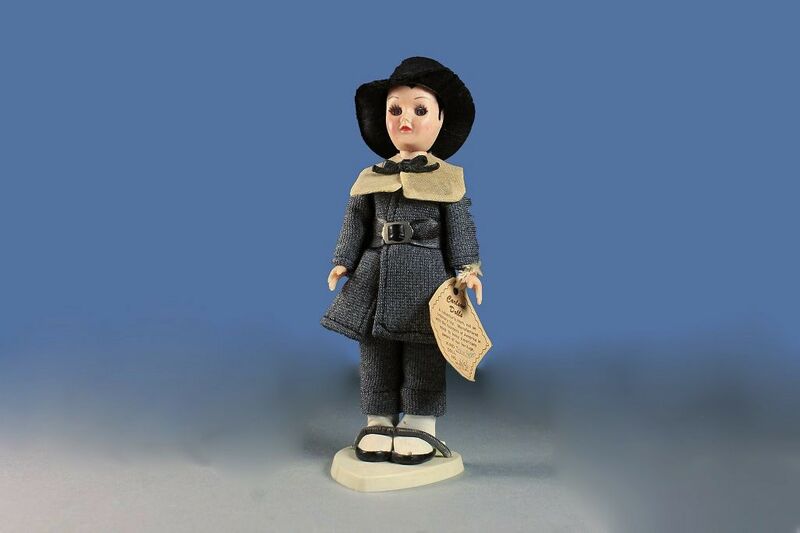 The clothes have no rips or tears but his white collar is very discolored due to dust and age from improper storage. Please check the photos carefully. 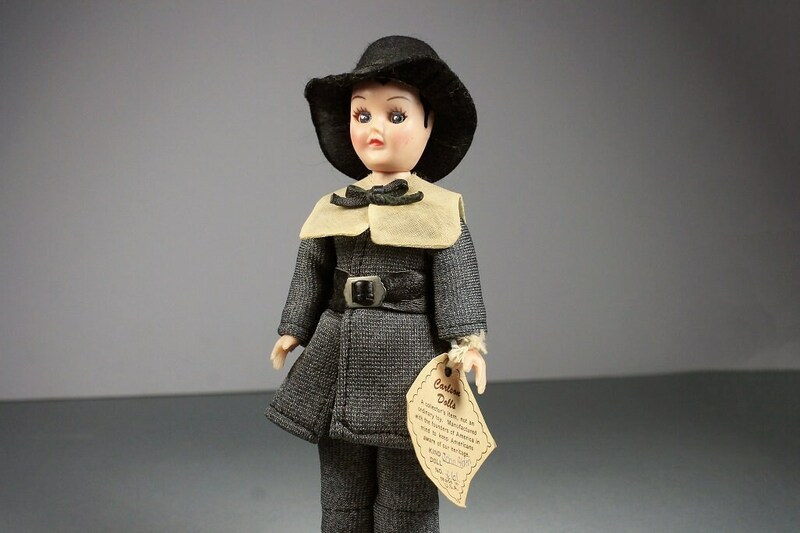 We have done nothing to the doll and leave it to the new owner for restoration.